Want to get fitter, stronger and learn how to protect yourself? Then our classes are for you. 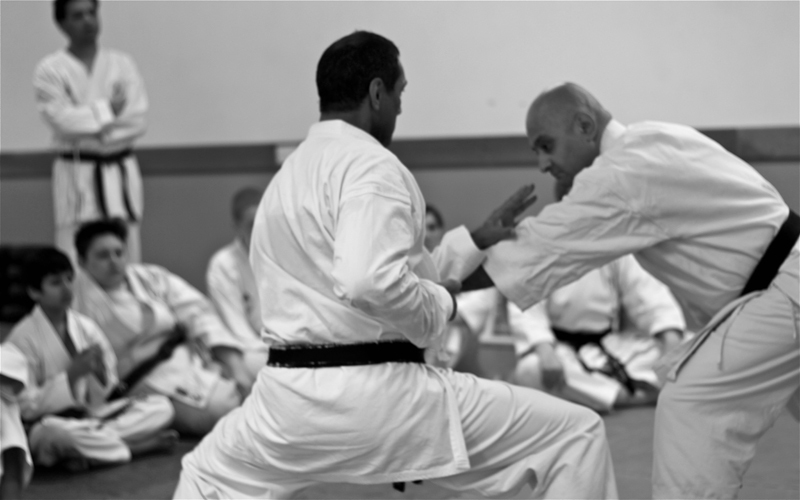 A typical karate class pattern includes warm-up, strengthening and stretching exercise to begin with. At times this may be in the format of cross-training drills to achieve the same results. Then we practice Kihon (basics) Kata (pre-arranged techniques in sequence) and Kumite (sparring). However, apart from the above, no one session is the same. We also incorporate Mixed Martial Arts (MMA) which includes; grappling and joint locking techniques, all round self-defence, body conditioning, boxing training and pad work. Circuit training is also incorporated once a month to retain overall fitness and stamina levels. 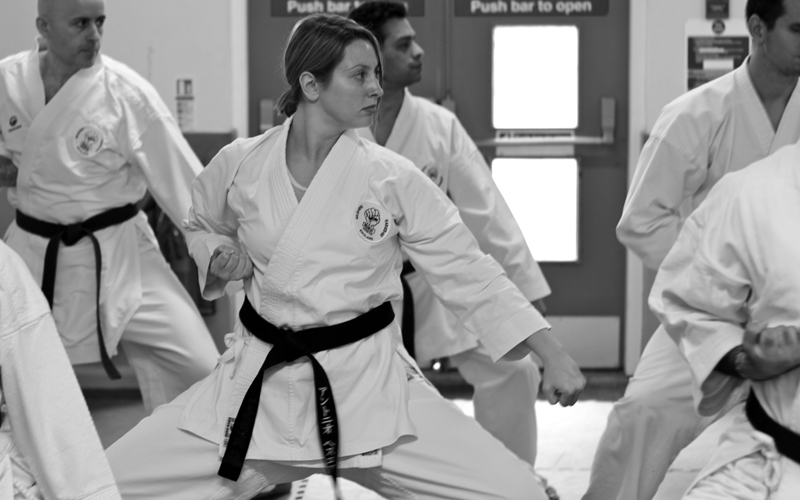 The East London School of Karate is a friendly, family orientated environment and you will feel welcomed from your very first visit. Our aim is to cater for all your health and sporting activity needs and our Karate and Fitness regime offers a complete system of health, fitness and Karate training. With our support and guidance, your dedication and commitment, we aim to help you reach your intended goals. We wish you all the best with your training and hope that your journey into the world of Martial Arts is a joyful and fulfilling experience. New membership includes; Karate-gi, Karate-gi Badge, Annual licence/Insurance and a welcome pack. 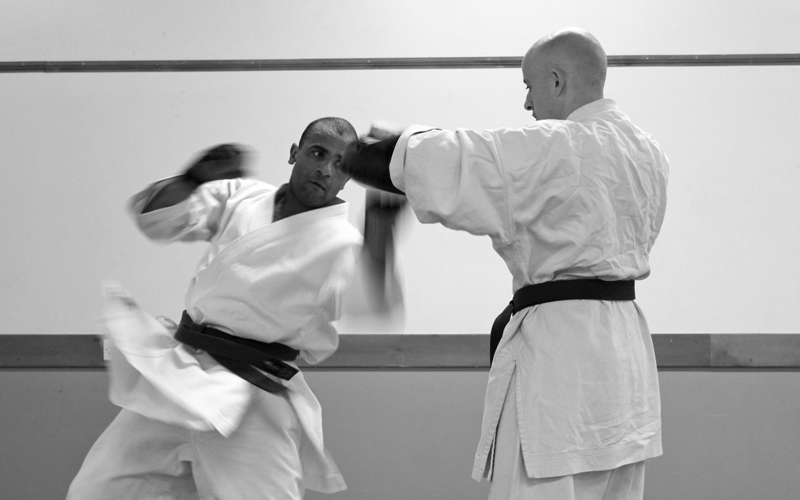 You will also find a `Free Pass’ for a friend to come along and try a free karate lesson. I have been training at East London School of Karate for about 5 years. The teachings from Sensei Kim is of very high level, the classes can be very challenging, competitive and focus a lot on discipline.The rewards for me have been really life changing as it has helped me to increases my confidence, awareness, focus, concentration and of course to be able to defend myself. I feel less self conscious and more comfortable in everyday life. I have been training at the school for 6 years now and came in as black belt from a different style of karate. My grade was respected and I was warmly welcomed by everyone. It's taken me a while to adjust to Goju-ryu, but the instructors have been very patient and understanding. Plus, I have never been in better shape!